Hillcrest’s Energy Advice Team has been shortlisted for the CIH Scotland 2018 Excellence in Housing Innovation Award for our energy top-up scheme. 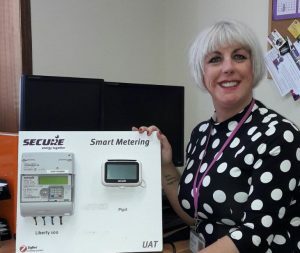 The scheme, which has received funding from Energy Action Scotland, allows tenants who are struggling financially to receive a discretionary top-up on their prepay meters. The project is designed to help tenants avoid running out of credit and being disconnected. “Hillcrest Energy Advice Team (HEAT) provides an invaluable service to our tenants by offering a range of support to lift our tenants out of fuel poverty. We believe we are unique in social housing by providing an emergency top-up fund for our tenants who are at risk, or have already been cut off from their electricity supply. This is particularly useful for tenants that are moving onto Universal Credit, who can wait up to 56 days for their benefit to be paid.